It's time to ditch your favorite exfoliant with something that is reusable, affordable and effective. I'm so excited to share this review with you. I'm sure you're not familiar with ExfoClear yet and let me introduce this wonderful product to you. Our friends from Ampersand sent me two boxes of skin care goodness last April and I was surprised when I received the product. It's something that we should include in our skin care regimen. Wash, tone, moisturize and exfoliate (1-3 times a week)! Exfoliation is a very important step in our skin care routine because we can get a lot of benefits from exfoliating our skin the right way with the right kind of product. Skin exfoliation gets rid of dull, rough and dry-looking skin to bring out it's natural radiance. Exfoliation also speeds up skin renewal and regeneration by constantly removing the layer of dead skin cells which have built up over the skin's surface. This accelerates the natural production of collagen and elastin, reducing the visible effects of blemishes, light scars and enlarged pores. Enjoy gentler, safer more efficient exfoliation and microdermabrasion with ExfoClear. 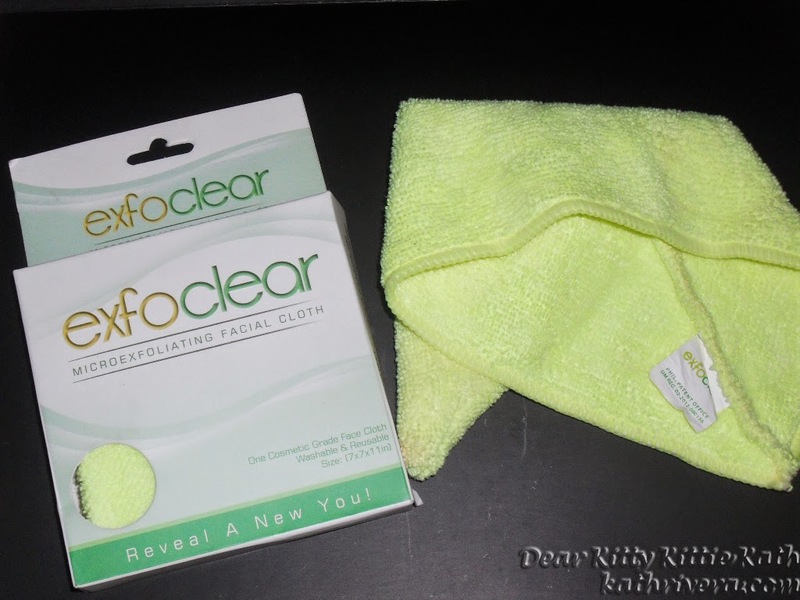 The soft and re-usable ExfoClear has no abrasive granules or harsh solvents that could scratch or scrape the skin. I've been using this oh so great product for more than one month now. I use it twice or thrice a week depending on my skin condition. I don't use it during my period days as I find my skin very sensitive to scrubbing even with the lightest hand strokes. Yes, it's gentle on the skin and once you use it to exfoliate you'll definitely like what you'll see and feel. 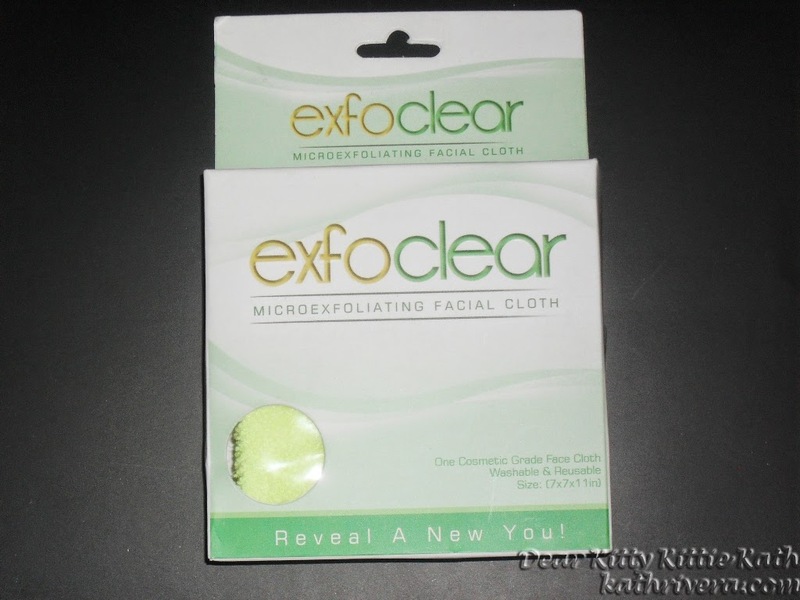 I'm targeting the white heads on my nose and I can really see them coming out after exfoliation using ExfoClear. 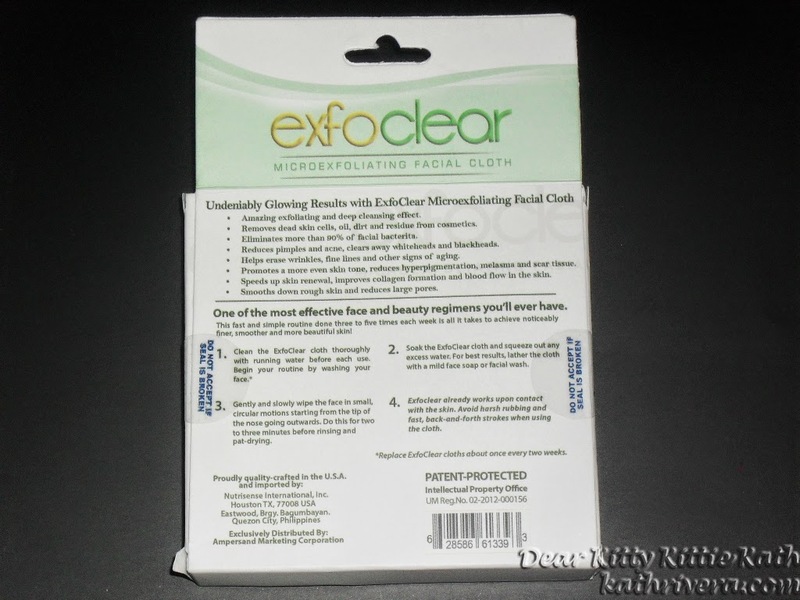 To know more about ExfoClear and my experience click CONTINUE READING and find out! ExfoClear's powers can be activated with just some water, turning its dermal weave into a powerful exfoliant. Use three to five times every week for softness you can feel, and others will surely notice. Amazing exfoliating and deep cleansing effect. Removes dead skin cells, oil, dirt and residue from cosmetics. Reduces pimple and acne, clears away whiteheads and blackheads. Helps erase wrinkles, fine lines, and other signs of aging. Promotes a more even skin tone, reduces hyperpigmentation, melasma and scar tissue. Speeds up skin renewal, improves collagen formation and blood flow in the skin. Smooths down rough skin and reduces large pores. ExfoClear has no frills, no flashy gimmicks. Only great skin that really works!. It does away with chemical peels, harsh astringents or anything else that may cause irritation or skin damage. The secret: A cosmetic- grade, dermatologically-tested microscopic dermal weave that truly deep cleanses the skin like no other. Each strands of this special material is ten times finer than silk and one hundred times smaller than a strand of human hair. ExfoClear uses this technology to go back to basics. Using only this special dermal weave, direct physical methods and pure, clean water. It effectively dislodges and scoops up particles of dirt, oil, dead skin flakes and even bacteria in the skin's pores- and it does all these without using strong chemicals that rob the skin of its moisture. Deep-cleanses, exfoliates, prevents acne and pimples. Does not dry the skin, upset pH-balance, cause allergies or block pores. Washable and reusable- great value for money. Instantly smoother skin guaranteed, on the first minutes of your first ever use. Available at Pioneer Center Supermarket, Pioneer St. Kapitolyo, Pasig. 1. Clean the ExfoClear cloth thoroughly with running water before each use. Begin your routine by washing your face. 2. Gently and slowly wipe the face in small, circular motions starting from the tip of the nose going outwards. Do this for two to three minutes before rinsing and pat-drying. 3. Soak the ExfoClear cloth and squeeze out any excess water. For best results, lather the clothe with a mild face soap or facial wash.
4. ExfoClear already works upon contact with the skin. Avoid harsh rubbing and fast, back-and-forth strokes when using the cloth. 5. Replace ExfoClear cloths about once every two weeks. 1. ExfoClear is also suitable for body use. It's particularly effective for clearing away dark spots and problem areas with uneven skin tone or complexion. 2. Do not use any alcohol-based astringents or cosmetics together with ExfoClear. 3. Avoid using the cloth on sensitive areas like the lips and the eyelids. Be sure to clean your ExfoClear after every use by washing it with mild face or body soap. Can be used on both face and body. Cleaning and storage is easy. Makes my skin soft and smooth to touch after use. There's a certain glow on my skin immediately after using. No breakouts, irritation or whatsoever. I usually get one of these whenever I use a new facial scrub right after scrubbing or the next day. Complete product information printed outside the box and there's a leaflet inside for more information. I give this a 4.75/5 rating! I super like this product. It's very addicting to use. No need to splurge on a skin care brush or a high end exfoliating products. It's very easy to use too and it's not high maintenance. I just hope that this will become available on all leading supermarkets and malls nationwide so that it will become easily accessible to everyone. I highly recommend ExfoClear because it's effective in removing dirt, clearing skin blemishes and exfoliating dead skin cells. It's also very budget friendly! Do you exfoliate your skin once or thrice a week? Share your thoughts on ExfoClear below. DISCLAIMER: This product was sent to me by Ampersand Marketing for a review. The views expressed here are my honest opinion about the product. I never tried using this kind of product,i would love to try this and see if my skin would change a bit.. I remember you taking about this before. Clearly it's made an impression on you! ive tried exfoclear and i l o v e i t!! great review, i have never heard of this brand. will look for it and see how it works. thanks! Nice! It looks handy, you can bring it everywhere especially when traveling. I'll check this one out. Great looking skin makes a world of difference in how you look, feel, and interact with others. This clothe replaces a lot of beauty products in taking care of the face so I'm sure this would be a hit for ladies. This product would be great for me after spending lots of time outdoors sweating at the beach. These would be great after a long sweaty day at the beach this summer. I heard about these micro-exfoliating facial clothes before. Great things. I never gave much thought to exfoliating. I never realize it did so many good things for you. Thanks for sharing! 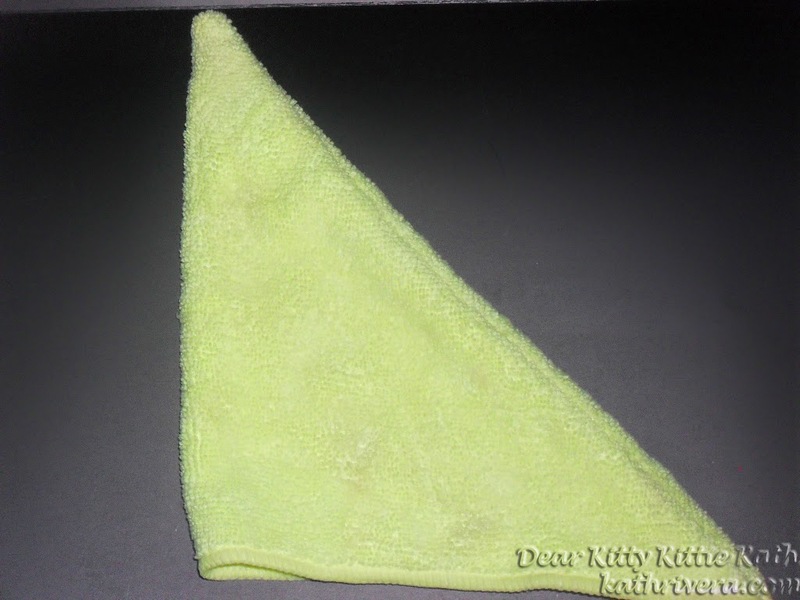 this is sorta like the norwex cloth, i have very sensitive skin, so i think this would be perfect for me. i love trying new products and this seems like it will make it to my must try list. This seems great! I want to go buy one. I do any exfoliation every single week. I know that the place I get facials done they recommend that I exfoliate 2 times per week but that always seemed so harsh on my face. This product sound amazing and I would love to try this. Thanks for sharing. This is a Awesome Idea, i will going to share this with my sister. I have never tried anything like this either, I just was my face with my hands and with makeup remover. Sounds like some thing I would like to try... thanks for the review. I've never used this product before, but it looks worth a shot! Sounds Like A Great Product I Really Need To Try This, Great Review!! I have not heard this in our country. What struck me most while reading the post is the fact that it has the capacity to reduce pimples. I would recommend this to my sister if I can find one here. I like to use these gloves as well but I like them for all over body exfoliating and not for facials. This seems like way to strong of an exfoliant to use on your face! I really enjoy using skin products like this. I will have to try this one. I know this is a great product and yes it is money wise because unlike using other exfoliating product like soap or cream this one never runs out. I love the review of this. I will be getting one asap!